Owing to the efforts of our skilled professionals, we have been constantly engaged in offering a qualitative assortment of Kashmir Willow Bat. Our offered Flash Kashmir Willow All Rounder Bat are designed and fabricated by our experienced professionals in compliance with the international standards. 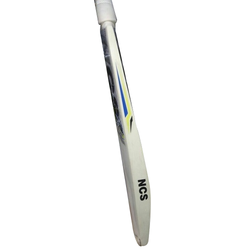 These bats are endowed with fine handles which are easy to hold and are durable. Our range finds huge demand in the competitive market for its quality, superior finish, durability and high performance. Owing to our years of industry experience and precise knowledge of this domain, we are offering an outstanding assortment of Sports Cricket Bat.